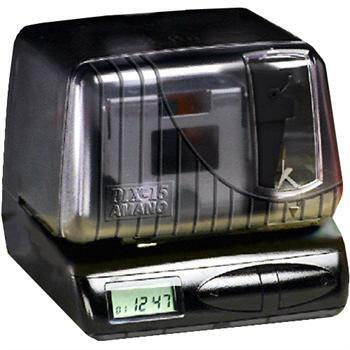 The Amano PIX-15 electronic time recorder, while a current time clock, is only offered through select chain retail outlets. The-PIX 15 is the exact same clock as the Amano PIX-21 clock available on Time Clock World. The only difference is the outside case. If you are interested in the PIX-15 electronic time recorder, we suggest you review and consider the Amano PIX-21 or the Amano PIX-28 which have identical features but slightly different outward appearances.